Booker landed awkwardly as a pass came his way with 4:28 left in the quarter Wednesday night. He was attended to by training staff and the entire Suns bench came from one end of the court to the other to be by his side. Booker is averaging 36.2 points over the last 11 games, and has 25 or more points in each game during that stretch. He recently had back-to-back 50-point games. 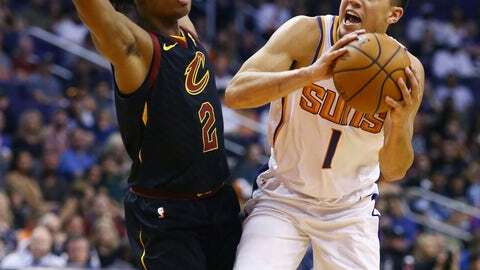 The Suns announced that Booker was ruled out for the rest of the game.